Beautiful Chaos is now AVAILABLE!!! For those of you who have been following the release of my first book Beautiful Chaos Our Story about Foster Care, Adoption, Faith and Love, the wait is over!! It is now available. I want to thank all of you who have supported this project in some way. For those that helped me fund the project THANK YOU!! For those that have prayed for the book and for me Thank you!! For those that gave me the encouragement to get it started and then to get it completed Thank you!! I am truly humbled by what is taking place. Thank you to my beautiful family for allowing me to share a glimpse of our life with the world. Thank you to my wonderful husband who not only lives this crazy life with me but also has had to listen to me over the last few months give him play by play details as our story became a book reality. Mostly I want to thank God for allowing us to be a small part in His beautiful masterpiece. He has allowed us to be part of some many lives on this foster care adventure. He has been my comfort when a child is placed back with a birth parent or relative, He has been my guide when I did not know what to do, He has been my protector when situations have become unsafe, but above all He has been my friend that has walked with me every step of the way. To You oh Lord, be ALL the glory. Author beautifulchaosmommaPosted on March 15, 2018 Categories adoption, autism, Autism awareness, Autism life, blessed, book, Children, Children with disabilities, Faith, family, Foster care, foster parent life, Fostering, Home, life, love, Mom life, RAD, sacrifice, self published, Special needs, thankful8 Comments on Beautiful Chaos is now AVAILABLE!!! I’ve started this post more than a dozen times. Each time I get a few short paragraphs in and lose my cool. So after taking a few weeks to calm down I will try again. One of my biggest pet peeves is being lied to especially if I ask a direct question. As foster parents we are accustom to getting what I call half truths from the birth parents. These are just as nerve racking. But when you come face to face with your foster child’s parents and they know their rights are being terminated and you ask them questions so you can help their child in the future why oh why do they feel the need to lie? Two weeks ago we went back to the geneticists for our daughters test results. We know she has RAD, reactive attachment disorder, and ADHD and ADD but we also felt there was more going on. I remember talking to her (birth) mom in the hallway of the courthouse after a few of the hearings. She assured me that she never used drugs or alcohol while pregnant with her. But in my heart I knew she was not being honest with me. Even after her adoption was final and we were in the process of adopting her younger siblings the mother continued to swear to me she would have never used anything that would have caused injury to her second oldest child. Her three children born after diva all had some type of substance in their system so naturally I questioned the truth in her statement. After we moved and she started seeing her therapist, the therapist pointed out that diva had many signs of a child with FASD, Fetal Alcohol Spectrum Disorder, and suggested we make an appointment with the geneticist. It took a few months but we finally got in and he spent over two hours with our little girl. After all the questions, the blood work, the measuring and re measuring he asked us to come back in a few weeks for the results. I was a little nervous going back in for the results. But there in black ink we had it. Along with some other minor things our daughter did in fact have FASD. What we had suspected for a while was confirmed. I was heartbroken, angry, relieved and sad. I was heartbroken for my little girl. For the life she would have to face. Her struggles were already so hard to add this on top of it seemed so unfair. I was angry. Why had her mom done this to her? Why had she lied over and over when I had questioned her about it? I was relieved to have yet another piece to our daughters puzzle filled with an answer. So many times in foster care we don’t receive the whole story about the child coming into our care. Many times even after adoption through foster care there are still many missing pieces to their story. I was sad for her. Sad for the unknown of how this would affect her later on in life. Sad that I could not undue the damage that had been caused by someone else. Why did her mom think it necessary to lie about what she had done? Did it make her feel better about herself? Does it help her sleep at night? Does she even care what she has done to her children by making the poor choices she made? ​The odds are stacked against her, yet she finds comfort in the fact Jesus is always by her side. Her faith is strong when mine seems weak. Yes we will have bad days, yes the struggle with school work and behaviors will be real and difficult at times but we will get through it all day by day with Gods help. Last week my husband and I took our kiddos on vacation, even our oldest son got to go with us this year. The idea of us going out of our comfort zone of home for a week was down right freighting to me. With wild mans autism he prefers to stay home where he knows his surroundings and knows what he can and can’t do. With diva, you never know when her RAD will surface and disrupt the day. I was not looking forward to a week of the unknowns at all. I am sure I’m not the only mother that feels like this. So many different emotions surfaced throughout the week. Saturday morning the kids woke up around 6. We loaded up the last of the “must haves” in the van and headed out. Have you ever packed for eight people? The amount of clothes, toys, snacks, drinks, and bedding quickly filled the back of our 12 passenger van. The excitement that filled the van made me happy. We were pulling out of the driveway when the first showing of “LAND BEFORE TIME” made its appearance on the DVD player. The kids love Littlefoot, Sarah, Ducky, and Spike. It’s one of the few things all five agree on. For the next 7 hours the excitement built. I can’t wait to see the ocean!! I can’t wait to go swimming in the pool!!! I can’t wait to stay up late!!! ARE WE THERE YET??!!! The closer we got the more giggles and and more more questions we heard. Big Al was not a fan of the ocean so his first day of vacation started off by searching for sea shells. To his delight he found several shells to his liking. Excitement filled the air when he discovered a large brown rock that he insists is dinosaur poop. He carried said dinosaur poop around as if it was the Vince Lombardi Trophy. Every day after that initial find he surveyed the beach looking for more dinosaur poo. No rock was safe. We have a bucket of dinosaur poo that now sets at the end of his bed. Oh the joy of boys. Panic sat in when my in-laws called to give us the news about our house we had rented. They arrived to our beach rental before we did. The owner of the house was still in the house. Her mother had came down to visit the week before. The night before we were scheduled to start our vacation in her home her mother fell and broke her leg/hip, meaning they would not be leaving the house. The rental company had tried calling us all morning to work something out with us ( according to the messages on my phone when we got back home they called us 12 times) but were calling the house number not my cell number. As my mother in law told me what was going on I became overwhelmed. I had rented the house because it was child friendly, It had a pool in case wild man could not handle the noise of the ocean. It had a bedroom set up with two sets of bunk-beds so all the kids could be in one room which would be easier for me to “bed hop” when they could not sleep because they were not in their own beds. It had extra locks on the doors so I would not worry (as much) about wild man escaping. I had spent weeks looking and securing the perfect rental house. How would they find me something comparable in just a few hours. When we arrived to the new rental, I must say I was impressed. The rental agency had given us and upgrade, a beach front upgrade. We still had a private pool and there was a bedroom for everyone. Instead of having to walk a block to the beach we could now be on the beach in just a few steps. The agency told us they would help us with anything we needed and apologized for having to move us. I packed sheets for bunk-beds not queens so they brought us sheets and a pack-n-play for baby girl to sleep in. I went from being overwhelmed with fear to being overwhelmed with gratitude. We were at the beach all of a few hours before diva’s RAD started rearing its ugly head. You can’t baby her when it surfaces, but her grandparents can’t help but baby her. I know they mean well, but it really does not help her or us. No matter what I did for her it was wrong. I could not comb her hair right, I could not put on her bathing suit right, heck I could not even make her lunch without her screaming at me and saying ” I just quit. You are being so mean to me.” She had them eating out of the palm of her hands and she knew it. Because her dad and I were “so mean” she got to go on not one but three outings with them. Just her and them. Once they took her for a walk in the beach to look for sea shells. The second trip, we had decided to take the kids on a golf chart ride around the isle while my in-laws went down the road to do a little shopping. Diva did not want to go on the ride so she began to stomp around and fuss that she didn’t want to go. I tried to talk her into it but she saw them looking at her so she began to scream and they didn’t want her upset so they took her shopping with them. As she walked out the door she looked back at me and just smiled. The third outing they were running out to the store for groceries, diva and Big Al had been arguing, so naturally they took her so she did not have to “put up with him being mean to her” Aggravated does not cover what I was feeling. I was aggravated at the situation not at my inlaws, let me make that clear. They only want what’s best for her. It’s not fair to the other kids, she manipulates the situations and she got rewarded for it. We have spent months trying to move forward and it all went down the drain because she refused to listen to us. RAD, ADHD, and FASD are not things we just made up in our heads. Her actions made for a long week. Today at the house was awful, she kept screaming and trying to start fights. When I told her to stop her response was “I will just call my grandparents they will take my side” Lovely….just lovely. Wild man was so scared of the ocean the last time we went. The noise hurt his ears and the sand sent his sensory issues into overdrive. So I was nervous to go back this year. For weeks before our trip he would talk about the water and how he hoped to see a shark. Thankfully we did not see any sharks, but what we did see brought tears to my eyes. As my husband held his hand and walked him out to see the ocean shortly after we arrived my heart raced. My oldest son held tight to Big Al and Elmo while my father in law had Diva. Instead of running back to the house like he did a few years ago, wild man ran into the ocean, magic pajama pants and all. He had found his peaceful place. He played hard in the water and loved every minute of it. He even played in the pool once we managed to get him out of the ocean. All week he looked forward to going out and swimming in the great big blue ocean. I have never seen him more at peace than what I did there. Just thinking about it makes me smile and makes me happy. Other happy moments included watching the kids blow bubbles off the deck, getting baby girl to say cheese when she saw the camera, eating ice cream cones after every meal, and seeing the kids enjoy themselves playing with their dinosaurs and play-dough. Celebrating Diva’s 7th birthday was lots of fun at the beach. I was happy to see my husband be able to relax for a few days. I was surprised that by children made the trip ( it took us 7 hours to get down there and 8 hours to return home) without anyone getting sick in the car or peeing in their car seat. I was surprised that we watched most of the 14 different Land Before Time videos and no one fussed about wanting to watch something else. I am thankful for the beautiful works of art God provided in the sky each morning. His mix of colors in the morning sky is simply breathtaking . 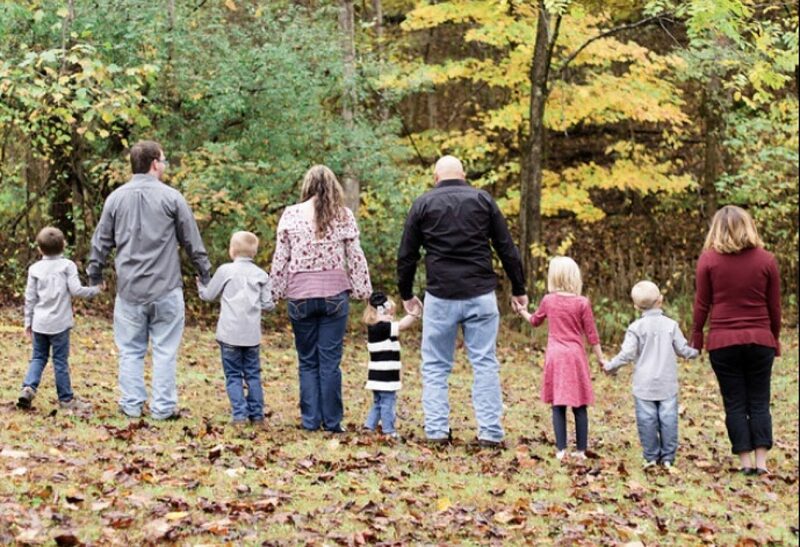 I am thankful that God found a way to make me a mom to seven unique kids. I am thankful my oldest son got to go to the beach with us and for the time we got to spend together. I am thankful for my husband who works so had to provide moments like this for us. As a mom I know there really is no such thing as a vacation for me. I was still the one up with the kids at all hours of the night when they could not sleep or if baby girl needed a bottle. I woke up between 5 and 6 every morning because wild man does not sleep in just because its summer break and we are on vacation. I still did the laundry and fixed their meals. I worried, I rejoiced, and I cried. Being a mom is the most rewarding and hardest job I have ever done. I am tired, I am unsure of myself, I am loved, I am hated, I am scared, I am hurt, and I am sure I would do it all again. We survived our vacation. We had a few bumps in the road but overall we made some great memories. I can’t ask for anything better than that. From our beautiful chaos to yours take time to feel every emotion God gives you. Emotions are powerful embrace them. Last night was the last night I would place my six year old daughter to bed. Today is her birthday. As I tucked her in I let my mind wonder to what the year would hold for us. Hoping for more giggles and laughter. Year six was a struggle, no need to sugarcoat it. An emotional roller coaster where she was the conductor and I was a passenger just along for the ride. She can’t help it. Things are getting better, a little better, now that we have found some of the things that trigger her. I wish I could step back in time and fix it all. I wish I could save her from all the pain, all the anger, all the hate. As I look at her I think about those first few years of her life. What would her life be like if the caseworkers would have pulled her out earlier? What if the connection to her half brother was never made? What if she had been properly cared for from the beginning? What if she had felt loved as a newborn, as a three month old, at a year old? What if she never made it to me, to us? IF such a small word, yet so powerful. Part of my heart goes out to her birth mom. She could have easily decided not to go through with the pregnancy and our little girl would not be here. I don’t know the whole story, and as her foster to adoptive mom I may never know. I imagine though days like birthdays and holidays have to be hard on her. I can’t imagine not having my kids with me on days like this. My oldest daughter turned 22 this year and for the first time we were not able to celebrate together, and my heart ached all day. So I can’t imagine what the last seven years have been like for her. Or does she even care? There’s also part of me that almost hates her birth mom. I know I’m not suppose to, but well I do. Kind of. I know her birth mom was not around from early on, that’s why it took the state so long to make the connection between diva and wild man. I wish they would have found her sooner. Then again, if they would have chances are she would not be with me. Our whole family may be different seeing four are half siblings we agreed to keep together. I don’t want to imagine that life. The emotional damage that was done in those first 16 months is far greater than they will ever know. My heart breaks for the children that have been in foster care for two years, three years or longer. Bounced around from place to place. We have had placements that have been moved so much they are nothing but shells of children by the time they arrive to us. There is nothing that breaks my heart more. Not having the attachment they need early on will led to so many trust issues and so much anger later in life if not so already. If her birth mom had been around to love her, then maybe she would not be filled with so much anger and pain. If she would have not done the drugs, maybe diva would be more socially adjusted, if she had just been a mom then none of this would have had to happen. If I had gotten her early……. There’s that word again IF. Our other little loves all love to love on me(and each other) I think its because we have had them from early on. Wild man was only two months old when we came to us, while Big Al, Elmo, and Baby girl were all newborns ( 2 days, three weeks, and a week) when they first came through our doors. I have rocked them, held them, hugged them, and kissed them from the time they were babies. Diva did not have that. If she would have been noticed earlier, maybe just maybe she would not have RAD. For her birthday she asked me if we could have a special song. She said, “Hey could me and you sing a special song every night? You don’t sing as pretty as the ladies on the radio but you’re all I got” Not arguing about my singing voice, I told her that would be a wonderful idea. I thought she would come back with You are My Sunshine, or This little light of Mine, you know something geared towards kids. She comes to me with EVEN IF by MERCY ME . Have you ever heard or looked at the words to this song? “They say it only takes a little faith to move a mountain Well good thing a little faith is all I have, right now But God, when You choose to leave mountains unmovable Oh give me the strength to be able to sing It is well with my soul. I know You’re able and I know You can Save through the fire with Your mighty hand But even if You don’t my hope is You alone I know the sorrow, and I know the hurt Would all go away if You’d just say the word But even if You don’t My hope is You alone You’ve been faithful, You’ve been good all of my days Jesus, I will cling to You Come what may Cause I know You’re able I know You can…. Wow. What a big message for such a small little girl. I asked her why she picked this song. Her response: “Cause it says God loves me even if I’ve had a really bad day, even if my faith in him is small on those days. He loves me anyway momma, just like you and daddy love me.” EVEN IF. She knows we love her, but even better she knows God loves her. She knows we would move mountains for her. Her life is not as easy as the others, its hard for her to show love, but she did show me she cared by picking out this song for us. So I found the song on YouTube and we sang, my not so great voice and all, and it made her smile. Then she hugged me. She asked to take pictures before she fell asleep because she would be 7 when she woke up. So we did. I pray that year 7 brings her some peace. I pray that she continues to reach out to me in small ways. I pray one day all of this will be behind us and that her past will be just that her past. I may have missed out on her first birthday, but I will not miss out on another one. I may not have been there to hold her or kiss her when she was scared, or hurting her first year and a half but I’m here now. I was not there to protect her then, but I am now. I will do everything in my power to give her the life she deserves. I will love her, protect her, fight for her, and guide her all the days of my life. For that I thank God and her birth mom for giving be such a precious gift. Happy birthday Diva, momma loves you more than you will ever know. The school year has come to an end. We survived our first year in our new state and in our new schools. While most parents get excited that the longer days of summer are quickly approaching I for one almost dread it. Summer means all the children will be home 24/7 and this year, this summer will be the first summer I will be without the help of my older two kids. Lord give me guidance for I am in uncharted territory. Let me start off by saying, my kids are my world, anyone that knows me knows this to be true. However I have one child with RAD and ADHD and one with autism and three under the age of four. Sometimes, most of the time, their is no peace in the house if they are all together. We have reached the point where our almost seven year old (RAD) notices that our six year old (autistic) does not have to do the same things she does and does not have the same consequences she does. This has become a daily problem for her. And to be honest how do you explain to a seven year old that her brother is treated different because of his disability? All she shes is that he does not get in trouble for things like she does. We try our best to be fair but we are human so I am sure we have messed up from time to time. We have been out of school for four days now and the time out chair is already getting its workout in. And don’t get me started on her thoughts about the other three little ones. I know its not her, I know its all the pain from her birth parents, I know she takes it out on me because in her eyes I replaced her mom so therefore I am as bad as she is, but man some days are hard. Last summer, I was fortunate to have our oldest daughter with us. She came down after her junior semester was over and helped us get settled in to the new house. It was nice having an extra set of hands during the day. She does so well with all of them, especially with our wild man. The two of them can spend hours together lining up his cars or playing with his Lego’s. She is his favorite thing in the whole wide world. He feels safe to just be himself around her. With her here I was able to take care of our other little ones. Of course there were days that meltdowns happened, but having someone else here to help buffer was a blessing. I already miss her this summer. My husband helps when he can, however he is the one that provides for us. He works a 40 hour a week job that normally turns into closer to 50 or 60 a week. By the time he gets in he is exhausted. He comes home most nights around 7pm sometimes later but rarely at the 5 o’clock hour. He helps with baths and helps get them to bed. He is looking forward to our family vacation to the beach in a few weeks. I wish I could say the same. Vacation to most means relaxation, fun, sleeping in, dinning out at new places, and taking a moment for yourself. Vacationing for me makes me anxious. The packing and repacking. The food list. The activities to take for the car ride, the 7 hour car ride. I know wild man’s sleep pattern will be off because he will not be in his own bed. It will be days before he gets a good night sleep if it happens at all. I will spend the first few hours at the house we rented child proofing and making sure he can’t hurt himself and making sure our three little ones can’t get into anything either. I will check and recheck the locks on the doors to makes sure he can’t get out. I will make sure the fence around the yard does not have any holes he can dig under. I will stock up on stage two Gerber peas, because those are his comfort food and we will need his comfort food when he realizes we are spending the night in the strange house. I will end up in the same room with him and baby girl I’m sure because when they wake up in the middle of the night they will not know where they are and instead of them trying to find me in the strange to them house it will just be easier for me to sleep in the extra twin bed. Correction I will not sleep that week, for I am sure he will not sleep. If he does mange sleep we will be up at his normal 4AM, autism does not sleep in even on vacation. We will not go out to new restaurants for dinner or lunch because the noise will be much to loud for him to handle. And as for a moment to myself, well I have five little ones I can’t even go to the bathroom by myself. I am thankful our oldest son is going with us. The kids(and I) miss him not living here so it will be nice to have him with us for a week. As for Diva she will be in heaven for her daddy and grandparents will be with us. I know that the first day or so will be fine for she will be on her best behavior, like she always does around them. I know though her behaviors will surface. They always do. Unless you live with RAD everyday you can’t understand the struggle’s we face daily. The mood swings, the screaming, the always fighting are real and painful. What if I’m not enough for them by myself this summer? What if they need more of me than I can be? I really miss home in times like this. My parents, friends, and in-laws. Here its just me. I hope we can survive summer vacation. My prayer is that God will show me the way to make the most of this summer. That He will show me how to be the best mom to each of my kids. They all have pasts, they all of troubles and yet God chose me to be their momma. Maybe He sees something in me that I don’t see. Most days I think I’m an okay mom. Some days however I know I’m not so great. I don’t want to be perfect just better. Earlier today I read a blog “Eighteen summers: It’s all we get, so this is my promise to you” over at simpleasthatblog.com And it got me thinking. With my oldest daughter I had 21 full summers, with my oldest son 17. Time does go by so quickly. I’m not going to lie and say that I am excited now to go on vacation since I read this blog, but I will say it opened my eyes. I do want to see baby girl’s eyes when she sees the ocean for the first time. I want to watch the boys run freely on the beach with the sand between their toes. I want to hear the giggles and laughter coming from their rooms as my husband tucks them into bed each night. I want to steal a moment under the stars with my head on his shoulder and breathe in all that God as blessed us with. We will survive we always do, sometimes it just takes a little more work and patience to get to the end. From our beautiful chaos to yours. Summer can be hot, long and hard. Not everyday will be sunshine. God washes us with the rain from the storms.